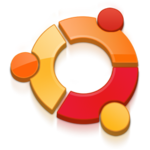 Canonical has released a new cut of Ubuntu it recommends for use in the cloud and containers. “Minimal Ubuntu” is based on either Ubuntu 16.04 LTS or 18.04 LTS. A Docker image of the latter weighs in at 29 megabytes. Images of the OS for the cloud are said to be “less than 50% the size of the standard Ubuntu server image, and boot up to 40% faster.” We think that makes them around 400MB.